Conflicts are continuous; wars are intermittent. 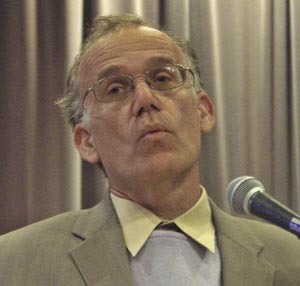 That is my little response to those who interpret Victor Davis Hanson as suggesting that wars are inevitable. Wars would be continuous if all conflicts led to war. Hanson begins his book writing that "...conflict will remain the familiar father of us all – as long as human nature stays constant and unchanging over time and across space and cultures." This is true enough. Every decision we make involves conflict. There are conflicts of interests between individuals and groups. Conflict exists in the animal kingdom as well as among humans. And war is a conflict rising from some lesser conflict – by choice. Hanson, on the other hand, gives us little separation between conflict and war. He writes that, "War seems to be inseparable from the human condition." He talks a lot about our being prisoners of our nature. By this I think he means prisoners of our biology. Hanson does not burden us with the question of mind related to biology that scientists and philosophers wrestle with. Human nature turned the Communist revolution under Stalin into something that was not foreseen by Marx or Lenin. But that is different from Hanson's tight association between human nature and war. In his frequent reference to human nature, Hanson is focusing on a lack of change regarding behavior; but regarding war attitudes have changed, as have cultures. There was certainly a different attitude toward war between the Maori and Chatham Islanders. Hanson writes about the value of studying history. He tells us that one of the two "themes [that] resonate throughout the book" is "the unchanging face of war." He is referring to war in general. And here is a generality for you: To understand a war one has to study that specific war. And to understand existing dangers of war one has to gather up specific contemporary conditions. Hanson understands this, as does every educated military strategist. But he seems to ignore it in pursuing his book's themes. One might be able to draw something general from studying the wars of the ancient Greeks as Hanson has. And Hanson gives us a couple. From Homer's Iliad he draws a negative: that "rewards do not always go to the most deserving in war." On page 27, Hanson claims that Euripides can give us "insights on the folly of war." This speaks to his second theme: "the tragic nature of [war's] persistence over the ages." Regarding Hanson's comments about the nature of war in general, it seems to me that there is more value in specifics. The nature of wars changed after people settled into farming and there were settled farming people to conquer rather than wandering peoples to push around and raid. Wars changed with the development of rival empires and with the rise of monarchs who fought over who was to rule where. The nature of war changed when technology made them so horrible that they were no longer entered with enthusiasm. Wars changed when they became all consuming for a society – as they did in the 20th century. The nature of war changed with the development of atomic weapons. The Korean War was a different kind of war from World War II. And the Vietnam War was a different kind of war from the Korean War. Regarding twentieth century warfare, Hanson declares that, "A decisive end to war does not necessarily mean greater violence and human losses than what totalitarian governments are capable of." This is telling us something about totalitarians and nothing necessarily about war. Hanson offers an analysis of World Wars I & II, writing that war might have been avoided if liberal democracies had been willing to make "moderate sacrifices" to keep the peace. (No inevitability suggested here.) He is correct, as I see it, regarding developments from 1919 to 1940. But, with all that he writes about the importance of reading history and understanding war, his view of World War I remains an over-simplification to the point of distortion. On page 44 he blames World War I on "Prussian militarism" – something he probably would not have done had he studied the origins of that war in great detail. Recently at a gathering at a library about his book (broadcast on CSPAN2) Hanson spoke of the need for resolution in war. World War II was resolved by the thorough defeat of Germany and Japan. But there was no resolution in the Korean War, hence the problem with North Korea today. Following Hanson's appreciation of sweeping generalizations let us look at the ancient Peloponnesian War, as he does in his book. Can we not say that it was unfortunate that the settlement between Sparta and Athens that was made in 421 BCE, after ten years of war, did not stick? They returned to war and Athens was utterly defeated seventeen years later, in 404 BCE. There was resolution of sorts, but it was transitory, and eventually Sparta lost whatever it had gained through military victory. I cannot argue that Hanson is completely wrong on his point about the Korean War. But the ending of the Korean War made a lot of people happy in the United States and in China. Pushing the Chinese and North Koreans back to the Yalu River would have been a horror that a combat veteran of that war could fathom. Winston Churchill said of this post World War II period that it was better to jaw-jaw than to war-war. That is what we have been doing since 1953, and peace has had its benefits for South Korea. Hanson makes the same point about the armistice of November 11, 1918. That armistice also made a lot of people happy – deliriously happy. It was for the belligerents then to choose a real resolution to their conflict. Unfortunately they did not. And it is not clear, as Hanson claims, that the totally devastating military victory over Germany in 1919 would have produced the resolution that was accomplished, somewhat, in 1945. "Father of us All" refers to a comment by the ancient philosopher Heraclitus: "War is the father of all and king of all." There is some truth in it. War preceded democracy in Athens, the Glorious Revolution in England in 1688 and the independence of the United States.